While there have been numerous innovations in the mattress industry in the last couple of decades, one of the developments with the most impact is that of latex mattresses. Latex mattresses are increasingly popular, so we’ve assembled this guide to help you understand what a latex mattress is, the benefits of using latex for mattresses, some facts and information about latex itself, and then offer a list of our favorite latex mattresses on the market today. Read on for all the information you need to find the best latex mattress for you. Latex Foam is Better for You If…. Memory Foam is Better for You If…. A latex mattress is constructed from one or more layers of latex foam. Latex mattresses offer a set of unique qualities that many people find appealing. 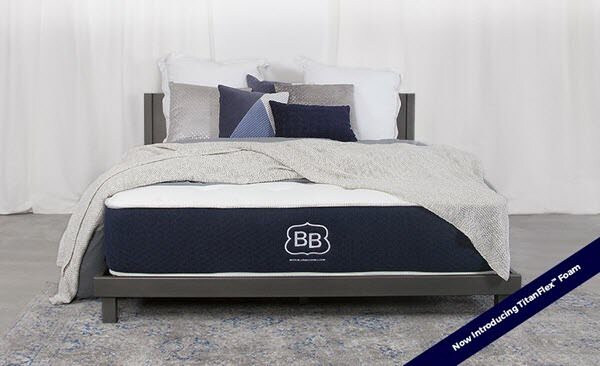 They are especially appealing to those who are looking for a mattress that combines some of the qualities of inner spring mattresses and memory foam mattresses, but to a lesser degree. Latex is a well-known and widely used material, but the use of latex foam for mattresses is a relatively recent phenomenon. Latex mattresses are known for the bounce, comfort, breathability, responsiveness, and cooling properties. The first benefit of a latex mattress, bounce, is a natural quality of latex as a material. The bounce you get from a latex mattress is more than the bounce produced by memory foam, but less than the bounce you get from a traditional innerspring mattress. This gives it a level of bounce that has been hard to find until now, and is perfect for those who want some bounce but not as much as you get from most coil mattresses. Latex foam is also incredibly comfortable. It creates a more general impression around your body, and produces a more rounded contour than memory foam creates. Many people prefer this sensation, as it doesn’t grip or hug your body as tightly, but still has the viscoelastic properties that help memory foam feel so comfortable. Additionally, because it does offer some contour and hug, latex foam provides excellent support, both initially and deep compression support. As a result, you get many of the benefits of memory foam, like helping your body stay aligned. That means you wake up with fewer aches and pains, and feel fewer pressure points at night. The breathability of latex is very strongly related to its cooling abilities. Natural latex has more air channels in it than memory foam has. This allows for greater airflow, helping to keep the mattress feeling cool, dry, and fresh. Latex also does a better job than memory foam at keeping cool because, as a material, it can’t hold as much heat as memory foam. That means your mattress will have a lower maximum temperature, helping to keep you cool at night. Finally, latex foam is more responsive than memory foam. That means it bounces back into its original shape faster, and compresses as far as it will go quickly. Memory foam generally has a very slow response. That helps create the hug and contour people love, but can also create a sinking feeling that some find unsettling. Additionally, active sleepers may find this uncomfortable, as they will experience awkward levels on parts of the mattress after they move. There are two types of latex, natural and synthetic. Natural latex is made 100% from the sap of a rubber tree. Natural latex has less initial smell, more durability and bounce, and greater cooling abilities. However, natural latex is more expensive than synthetic latex. Synthetic latex is made by lending natural sap with a man-made rubber polymer. Synthetic latex usually isn’t as durable as natural latex, and is slightly less bouncy. However, it still feels and performs in a very similar way to natural latex, and it can be hard to tell the difference. Most importantly, synthetic latex is much cheaper than all-natural latex. 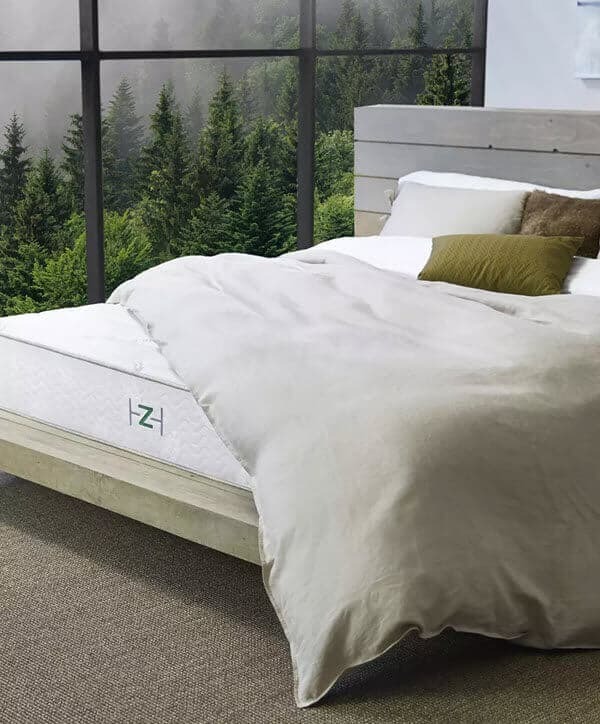 Collecting enough sap to produce enough foam is very expensive, so blended or synthetic latex are a way to make latex mattresses affordable for everyone. Just like there are types of latex, there are also types of latex foam. As a product, latex foam comes in two main forms, Dunlop or Talalay. Each process has the same satisfaction ratings, but has slightly different characteristics. Dunlop Latex is made by pouring the raw material into a mold until it is full. this creates one complete piece of latex foam. The mold process in Dunlop latex means that the material settles on the bottom of the mold, so one end of the mattress might feel firmer than the other side. This difference in consistency is the biggest issue with Dunlop latex foam. Talalay Latex is made by pouring a small amount of latex into the mold and then extracting the air. The result of this process is an open-cell structure. The latex is then flash frozen and dived into sections that are glued together to create the final form. Our guide to cool mattresses has some more information about open-cell foams, but the important thing is that the open-cell design allows for more airflow and breathability for the mattress, helping it to stay cool and dry. Another process that is relatively new is the continuous process. It is related to Talalay, but uses a conveyor instead of a mold to create the form. This gets rid of the seams, while being more consistent than Dunlop. This is probably one of the most common questions that we get, what are the differences between latex and memory foam? We’ve answered this question in some detail in our discussion of the benefits of latex foam, so we’d like to address when you should get a latex foam mattress and when a memory foam mattress would be better for you. One of the main reasons to get a latex mattress is that it offers many of the same qualities of memory foam, but in a less intense fashion. You still get hug and contour, but the contour is more general and not as tight against your body, and the hug isn’t as sharp as memory foam. If you like hug and contour but feel like you’re sinking on memory foam, then latex is the best choice for you. Latex is also the best choice if you sleep hot and are concerned with having a cool mattress. Latex is more breathable and doesn’t grip your body as tightly. That means heat can be taken away faster. Moreover, latex doesn’t hold as much heat as memory foam. Finally, Latex is the choice for you if you want foam, but you also want bounce. Memory foam can’t provide the same bounce you get from latex, and the extra bounce is helpful for getting into and out of bed, standing up from a sitting position, and adult playtime. None of this is to say that memory foam is a bad material when compared to latex. Indeed, there are several reasons why a memory foam mattress might be best for you. 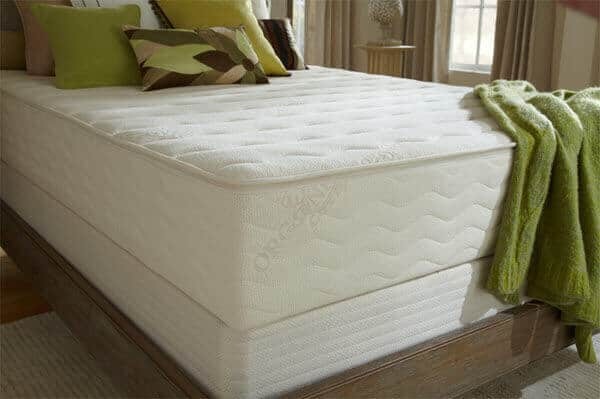 If you have problems with pressure points or alignment issues that require quality support, then the hug and contour you get from a memory foam mattress is second to none. Latex mattresses simply can’t replicate the level of support you get from memory foam. The hug and contour of memory foam are themselves a reason to get a memory foam mattress. Many people enjoy the feeling of being gently gripped by their mattress, and side sleepers especially love the viscoelastic qualities of memory foam. Finally, memory foam is the best option if you’re on a budget. Even with synthetic or blended latex, you can expect to spend at least $1,000 on a latex mattress. Good-quality memory foam mattresses can be purchased for less than half of that price.